The team at Jill Lagasse’s Design Her Eyes is preparing to bring beauty across the bridge from downtown Haverhill into Bradford this spring. After two years at 62 Wingate St., the salon is relocating to a space double the size at the 3 Ferry St. former home of Papa Gino’s in Bradford Square, Lagasse tells WHAV. With construction currently underway, Lagasse hopes to be open for business by early May and anticipates a “seamless” transition for her staff of five “lash artists” and their customers. 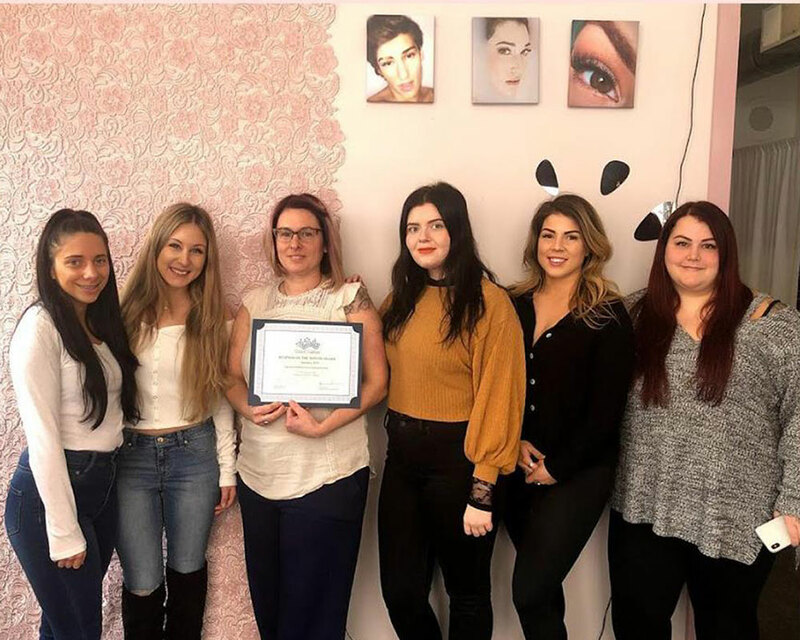 As a result of the revamp, Design Her Eyes plans to still prioritize eyelash extensions, tinting and eyelash lifts, and will also expand offerings to include massage, waxing and spray tanning. Prices range from $10 to $350. Lagasse explained the appeal of her beauty business to WHAV. Eager to expand her business, Lagasse said moving into the Bradford Square centerpiece was a no-brainer. Taking over the space takes Lagasse—who lives in Andover—back to her childhood, she tells WHAV. Lagasse plans to keep customers updated on relocation progress online at DesignHer Eyes.com.